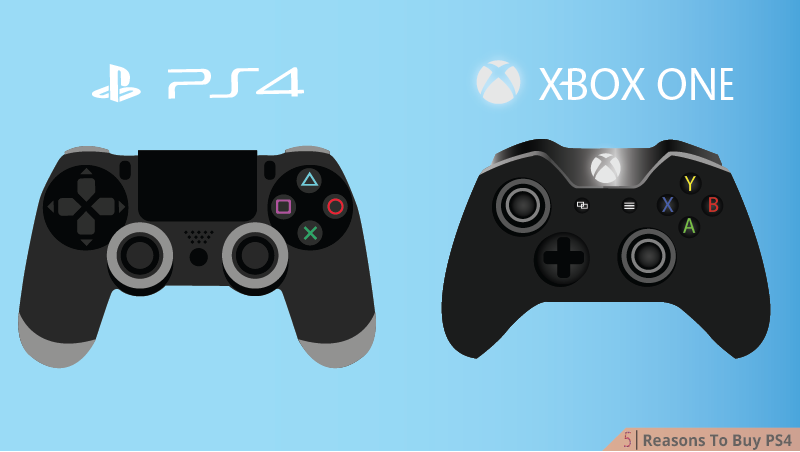 PS4 and Xbox one have introduced a new world of gaming – both consoles have their unique features, but the question is which one is better to buy? Both consoles have exclusively designed titles suiting their hardware and performance. As far as the design and look is concerned both consoles have their unique look. PS4 is the best console ever designed in this world because of its look, efficiency and performance as compared to the Xbox one – Xbox one is also the best gaming console but, PS4 look way better than Xbox one when you compare both of these – PS4 has more new upcoming games than Xbox one that are exclusively designed only for PS4 e,g The Last Guardian, Uncharted 4. 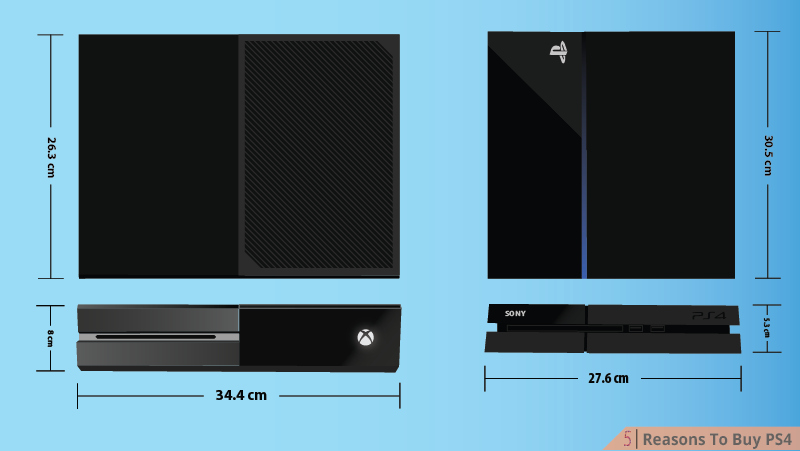 In this comparison of PS4 and Xbox one you will see which gaming console is better for you. Design and look is the first impression that forces you to buy the gaming console either its PS4 or Xbox one – design of PS4 is better than Xbox one, it can be easily fitted into your gaming place, TV trolley or where ever you have placed you PS4 setup but, Xbox one is fatter than PS4 and it looks weird as we place both PS4 and Xbox one at the same place. The PS4's sharp and edgy design make it look so professional – PS4 is like a pocket gaming console you can take it with you every where you want easily with no doubt. 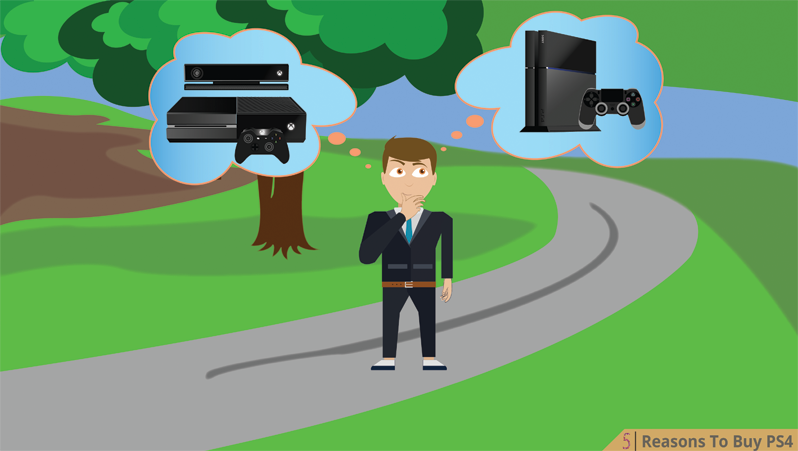 I am not criticizing Xbox one – people who had a beautiful journey with Xbox one doesn't like PS4 much as they have been addicted to it but, debate in online gaming forums shows that PS4 is appreciated more as compared to the Xbox one because of its hardware and look. 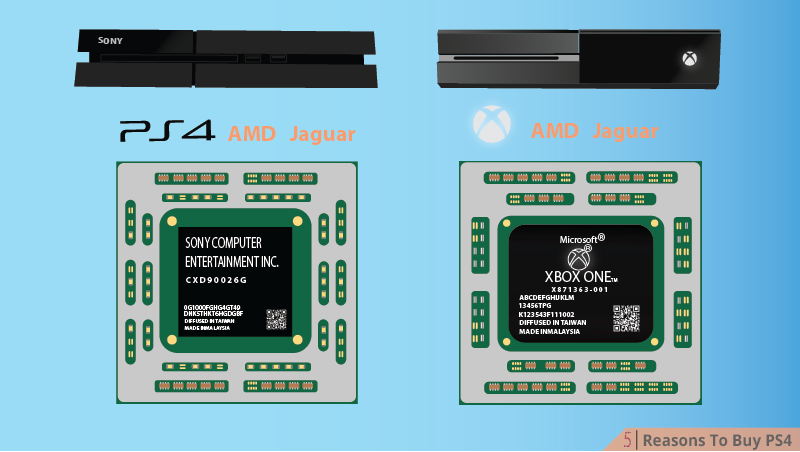 Both PS4 and Xbox one have strong hardware but, PS4 has some more in it – both devices have AMD Jaguar 8 cores, 1.6 GH/z processor with 4 MB CPU cache. PS4 is faster than Xbox one, it has 8GB DDR5 memory as compared to Xbox one containing 8GB DDR3 system memory. PS4 has muliple versions containing different HDD with more or less upgradeable memory but, Xbox one has built in 500GB HDD but, unfortunately the HDD Memory of Xbox one is non upgradeable. As we know both systems are powered with the powerful AMD Jaguar GPU that makes super sharp graphics – PS4 opted with 18 Core GPU with (1,152 shaders) but Xbox one has 12 Core GPU with (768 shader processors). PS4's dualshock 4 opted the new look from its predecessors with new modifications on it e.g, touchpad and mini speaker – Xbox one controller has the new look but all old features only two modifications have made on Xbox one controller, stereo audio jack and wireless pairing buttons. DualShock 4 design is just awesome it grips very well in you hands as compared to Xbox One controller. Recently Sony have announced a revised version of dualshock 4 with different new control buttons on it. DualShock 4 has new touchpad and mini built-in speaker that gives messages to the palyers. A friend of mine own a PS4 and when he was playin GTA V on PS4 I was able to see color change on the controller in cop chase and announcements and messages on the mini speaker its just awesome. 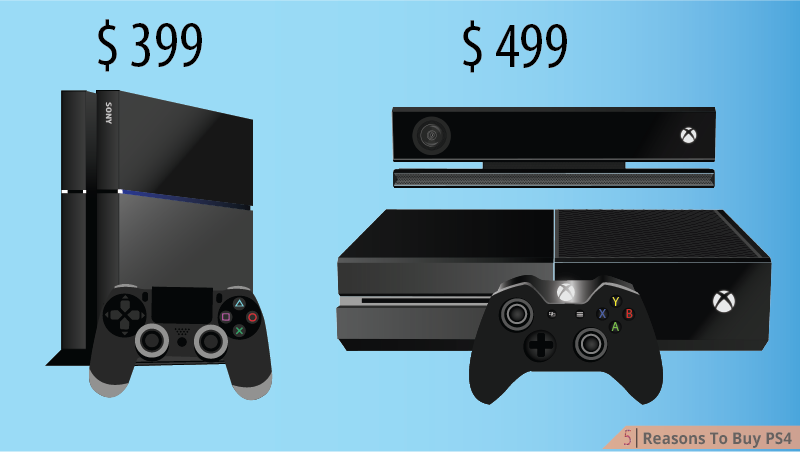 PS4 and Xbox one were released in same month – PS4 was released prior to Xbox one it was priced at $399 that was affordable to everybody but, everybody was shocked when Xbox one was released some days after the release of PS4, it was priced at $499 as nobody was expecting that price – very less units of Xbox one were sold out as compared to PS4 in the first week after release, that was the turning point for PS4 every person was buying PS4 instead of Xbox one because it was cheap and quality wise best.Sudden decrease in sales hit microsoft in the head – they decreased the price of Xbox one to 20 percent that was marginal. As of now Sony has sold out over 40 million PS4 units world wide from the day of its release and reportedly Microsoft has sold out 15 million Xbox One units. PS4 is the best choice for high speed ultimate gaming as compared to Xbox one – PS4 has tons of best exclusive games because of its efficiency and fast performance but Xbox one has a small number of exclusive games. As far as the graphics are concerned you cannot identify which is PS4 and which one is Xbox one both have same GPU – if you are playing game and you want to go live on PSN or Twitch, you don't have to plug-in any third party device because PS4 has built in game capturing feature, you can easily go live by pressing share button on PS4. Sony has made the history of chasing and crossing their biggest opponent Microsoft with a wonderful product – if you look back in the past Xbox 360 got more popularity than PS3 and now Xbox is struggling in front of PS4.